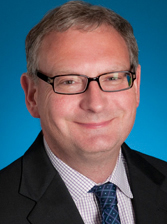 Steve Rusckowski is Chairman, President and Chief Executive Officer of Quest Diagnostics. Since joining Quest Diagnostics as President and Chief Executive Officer in May 2012, Mr. Rusckowski has focused on transforming the company, based on its compelling vision of “Empowering better health with diagnostic insights.” Under his leadership, the company has refocused on its core diagnostic information services business, sold non-core assets, delivered disciplined deployment, including share repurchases and acquisitions, and simplified its organizational structure to better serve customers by removing complexity, speeding decision making and empowering employees. He was elected Chairman of the Board in December 2016. Prior to joining Quest Diagnostics, Mr. Rusckowski was CEO of Philips Healthcare, which became the largest unit of Royal Philips Electronics under his leadership. He joined Philips in 2001 when it acquired the Healthcare Solutions Group he was leading at Hewlett-Packard/Agilent Technologies. Mr. Rusckowski is a member of the Board of Directors of Project Hope, a global health education and humanitarian assistance organization. He is also a member of the Board of Directors of the American Clinical Laboratory Association, and served as its Chairman from 2014 to 2017. Mr. Rusckowski earned a Master of Science degree in Management from the Massachusetts Institute of Technology’s Sloan School of Management and a Bachelor of Science degree in Mechanical Engineering from Worcester Polytechnic Institute. Everett Cunningham is Senior Vice President, Commercial for Quest Diagnostics. He is responsible for commercial sales and marketing. Prior to joining Quest Diagnostics, Mr. Cunningham spent 21 years with Pfizer, Inc., where he served most recently as Regional President, Established Products for Asia Pacific. 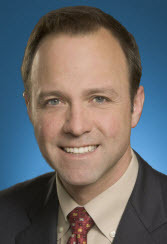 Beginning his career as a Sales Representative, Mr. Cunningham served in roles of increasing responsibility including Senior Director of Worldwide Learning and Development, Senior Director of Business Operations and Vice President Sales for U.S. Pharmaceuticals, and Vice President of Global Corporate Human Resources. Mr. Cunningham earned his bachelor's degree in economics from Northwestern University. James E. Davis is Executive Vice President, General Diagnostics, for Quest Diagnostics. General Diagnostics includes all of the company’s routine testing, and the commercial, marketing and clinical franchise organizations. Mr. Davis also leads the six core regions of the company, is responsible for delivering all diagnostic testing, information and services, and leads shared services for the company. Mr. Davis joined Quest Diagnostics in 2013 as Senior Vice President and Group Executive – Regional Businesses. Before joining Quest, he served as CEO of InSightec, Inc., a medical device company that designs and develops ultrasound ablation devices that are guided by Magnetic Resonance Imaging (MRI) systems. Prior to that, he held Vice President and General Manager roles at GE's MRI, diagnostics imaging and healthcare information technology businesses, where he established a record for achieving growth and operational improvement. Prior to GE, Mr. Davis led the development of strategic and operating initiatives for clients of McKinsey. Mr. Davis holds master’s degrees in management and science from the Massachusetts Institute of Technology and a bachelor's degree in aeronautical engineering from the University of Michigan. Catherine T. Doherty is Senior Vice President, Group Executive – Clinical Franchise Solutions & Marketing for Quest Diagnostics. She is responsible for overseeing the development of service offerings in the areas of cardiovascular, metabolic & endocrinology, infectious disease & immunology, prescription drug monitoring & toxicology, and general health and wellness. Ms. Doherty is also responsible for Quest’s Employer & Insurer Solutions business, as well as Commercial Marketing, Strategic Marketing and Brand Management. 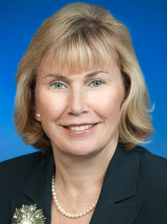 Ms. Doherty joined Quest Diagnostics in 1990 and most recently was Senior Vice President, Physician Services Business. Prior to that, she served as Vice President, Hospital Services, and as Vice President, Office of the Chairman. A certified public accountant, Ms. Doherty graduated from Montclair State University and holds a bachelor’s degree in business administration with a concentration in accounting. Carrie Eglinton Manner is Senior Vice President of Advanced Diagnostics for Quest Diagnostics. She is responsible for growing and enhancing Advanced Diagnostics, an area of the business based on genetic and molecular diagnostics requiring special expertise or technology in the areas of women’s health, neurology and oncology testing. Ms. Eglinton Manner also heads up our AmeriPath and international businesses. Prior to joining Quest Diagnostics in January 2017, her two-decade career with GE Healthcare spanned multiple product portfolios, functions and business environments. Ms. Eglinton Manner most recently served as President and CEO of GE Healthcare’s Detection & Guidance Solutions business. This $3-billion-business specialized in advanced X-Ray technologies. Ms. Eglinton Manner holds a bachelor’s degree in mechanical engineering from the University of Notre Dame. She is also a certified Six Sigma Black Belt. Since 2012 Ms. Eglinton Manner has served on the board, including as chair, for Thrive Networks, an international NGO pioneering evidence-based programs and technologies in health; water and sanitation; and education for underserved populations in Southeast Asia. Mark J. Guinan is Executive Vice President and Chief Financial Officer for Quest Diagnostics. From 2010 until joining Quest Diagnostics in 2013 as Senior Vice President and Chief Financial Officer, Mr. Guinan served as Chief Financial Officer for Hill-Rom Holdings Inc., a manufacturer and provider of medical technologies and related services for the health care industry. Previously, he had served in a number of finance and operations roles in a long career at Johnson & Johnson, where he served as Chief Procurement Officer, and earlier as CFO of the pharmaceutical business. Before that, he held a number of financial roles at Procter & Gamble. Mr. Guinan earned an MBA from The John M. Olin Graduate School of Business at Washington University, St. Louis, Mo., and a bachelor’s degree in economics from the University of Notre Dame. 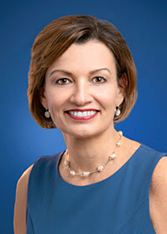 Cecilia McKenney is Senior Vice President, Chief Human Resources Officer for Quest Diagnostics. She is responsible for all human resources activities across the company. 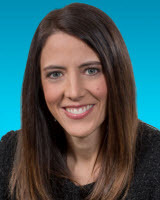 Prior to joining Quest in February 2018, Ms. McKenney spent more than a decade at Frontier Communications, where she led the telecommunications company’s human resources function, as well as held senior leadership roles leading the Consumer Division and sales, marketing, business operations and customer service. Before Frontier, she served in various HR leadership roles at PepsiCo over a period of 16 years. Ms. McKenney earned a bachelor’s degree in business administration at Franklin & Marshall College, and a Certified Employee Benefits Specialist certification from the Wharton School at the University of Pennsylvania and the International Foundation of Employee Benefit Plans. Michael E. Prevoznik is Senior Vice President, Legal and Compliance, and General Counsel for Quest Diagnostics. In addition to ensuring that Quest Diagnostics meets all of its legal requirements as a public company, he is also responsible for regulatory compliance, security and government affairs. From April 2011 to January 2017, Mr. Prevoznik also had management responsibility for the company’s diagnostic information services activities outside of the U.S., and from April 2011 to January 2013, he had management responsibility for the company’s clinical trials business. 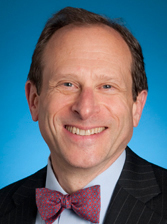 He was appointed Vice President and General Counsel in 1999, and was named a Senior Vice President in 2003. Mr. Prevoznik joined Quest Diagnostics in 1999 through the acquisition of SmithKline Beecham Clinical Laboratories (SBCL). He joined SBCL in 1994 as Chief Legal Compliance Officer, and in 1996 was named Vice President and Chief Legal Compliance Officer for SmithKline Beecham Healthcare Services. In 1998, he was appointed Vice President, Compliance, for SmithKline Beecham, a role in which he developed and led the company’s global compliance activities. Prior to joining SmithKline Beecham, Mr. Prevoznik represented SBCL as outside legal counsel as an Associate with Dechert Price & Rhoads of Philadelphia, where he specialized in healthcare and general corporate law. Mr. Prevoznik earned an M.B.A. from the University of Chicago and his J.D. degree from the University of Pennsylvania Law School. He holds a bachelor’s degree from the University of Notre Dame. 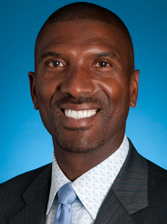 Gary D. Samuels is Vice President, Corporate Communications, for Quest Diagnostics. In this position, Mr. Samuels is responsible for internal and external communications. He joined Quest Diagnostics in November 1996, before it was spun off by Corning Incorporated into an independent, publicly held company. He became a member of the Senior Management Team in January 2012. Previously, he was an award-winning journalist, most recently at Forbes Magazine, where he held a variety of senior editorial positions during his 12-year tenure, including Senior Editor and Chicago Bureau Chief. Mr. Samuels earned a master’s degree in journalism from Columbia University and a bachelor’s degree with honors in political science from Middlebury College. 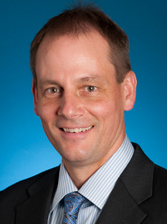 Tim Sharpe is Vice President, Compliance for Quest Diagnostics. Mr. Sharpe and his team are responsible for working with all of Quest Diagnostics employees to ensure that the company remains fully compliant with the law. Mr. Sharpe joined the company in 1999 as Chief Litigation Counsel and has served as Vice President, Compliance since January 2007. Prior to joining Quest Diagnostics, he was the Deputy Director of the Maryland Medicaid Fraud Control Unit, where he oversaw and prosecuted criminal healthcare fraud cases. He also worked with the law firm of Piper & Marbury, representing companies and individuals in civil litigation. Mr. Sharpe earned a law degree from the University of Maryland School of Law and a bachelor’s degree in business administration from Wayne State University in Michigan. 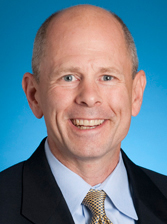 Dermot Shorten is Senior Vice President, Strategy, M&A and Ventures for Quest Diagnostics. He is responsible for the company’s business development activities, as well as the strategy, mergers and acquisitions, and planning processes. Previously, Mr. Shorten has been Vice President, Strategy and Ventures; Vice President, Office of the Chairman; and Vice President, Shared Service Operations. Prior to joining Quest Diagnostics in 2008, he served as Vice President, Operations Practice at Booz and Company, where he had been a strategic adviser to Quest Diagnostics for more than 10 years. Mr. Shorten was employed by Booz and Company for 18 years where he was responsible for the firm’s global supply chain service offerings. Mr. Shorten earned a master’s degree in natural sciences from Cambridge University, a diploma in computer science from Cambridge University, a master’s degree in operations research from Lancaster University and a master’s degree in private and public management from Yale University. 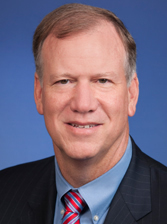 Jay G. Wohlgemuth, M.D., is Senior Vice President, R&D, Medical and Chief Medical Officer for Quest Diagnostics. Based at Quest Diagnostics Nichols Institute, in San Juan Capistrano, California, Dr. Wohlgemuth is responsible for Research & Development, Medical Affairs, and Medical/Lab Quality. In addition, he is responsible for improving outcomes for employees who use our health benefits. Dr. Wohlgemuth has many years of experience in medical diagnostics and research and development. He rejoined Quest in 2016 from HealthTap, a health information start-up, where he served as Senior Vice President and Chief Healthcare Officer. Prior to that, he was Senior Vice President, R&D, Medical and Chief Scientific Officer with Quest. Dr. Wohlgemuth originally joined us in 2009 from Genentech, where he was Director, Clinical Diagnostics, ITGR (Immunology, Tissue Growth and Repair) and Global Development Team Leader for Ocrulizumab. He also served as Vice President, Research and Development for VIA Pharmaceuticals and as Chief Medical Officer for the molecular diagnostics company XDx, a company he co-founded. 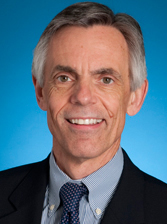 Dr. Wohlgemuth also served as Vice President, Research & Development for XDx. For his work at XDx he was awarded Technology Pioneer 2005 at the World Economic Forum in Davos. 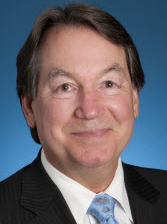 He serves on the board of directors for the Personalized Medicine Coalition, Diagnostic Labs of Oklahoma and The Anne and Henry Zarrow Charitable Foundation. Dr. Wohlgemuth earned his medical degree from Stanford University School of Medicine, where he also served a fellowship in cardiovascular medicine, and earned his bachelor’s degree in biology from Harvard College. Gabrielle Wolfson is Senior Vice President, Chief Information & Digital Officer for Quest Diagnostics. 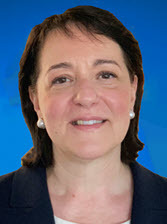 Ms. Wolfson leads technology, informatics and digital solutions at Quest, continuing the important work of the Healthcare Technology and Analytics Solutions (HTAS) team to empower consumers, providers, health systems and payers with critical insights to effectively manage population health. She also leads the Quanum Software and Sports Diagnostics businesses. Prior to joining Quest in 2019, she served as Chief Information Officer for Xerox Corp. beginning in 2016. There Ms. Wolfson worked on transforming a high cost, complex technology landscape into a dynamic digital business, offering services on demand both internally and externally. She also developed a global data strategy to enable advanced analytics, artificial intelligence and machine learning to deliver business insights and improved customer services. Prior to Xerox, Ms. Wolfson was CIO at Wyndham Hotels and Resorts, Panasonic, Integra Life Sciences and Par Pharmaceutical. Earlier, she was a practice leader in life sciences and pharmaceutical industries at PricewaterhouseCoopers. Ms. Wolfson holds a master’s degree in technology management from Columbia University and a bachelor’s degree in mathematics from Queens College in New York City. She is also a Member of the Governing Body of the Society of Information Management (SIM) and a frequent speaker at CIO executive forums.